When it comes to making recipes that require pumpkin this year, why not skip the can and try fresh? 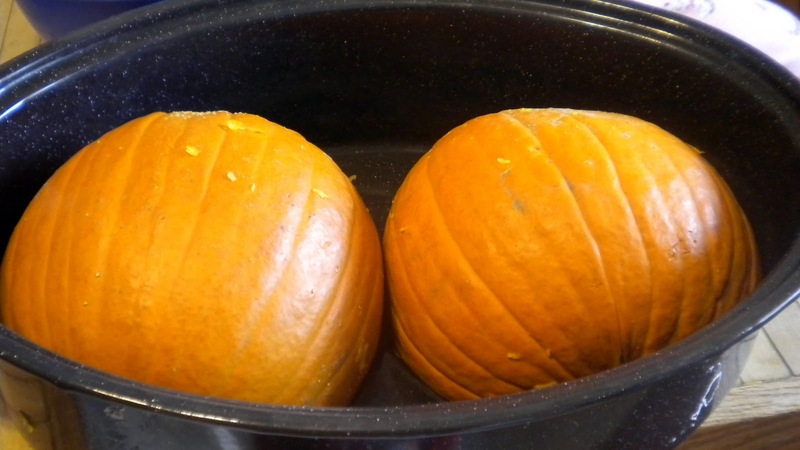 Cooking and pureeing your own pumpkin really isn't that hard. You can use any kind of pumpkin. 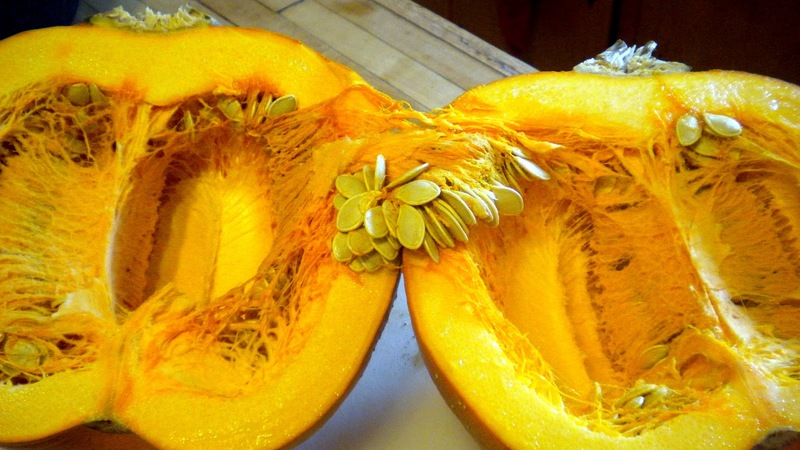 Pie pumpkins are smaller in size and are a little sweeter than larger pumpkins, but both will work. Next, Scoop out the insides. An ice cream scoop works well for this. 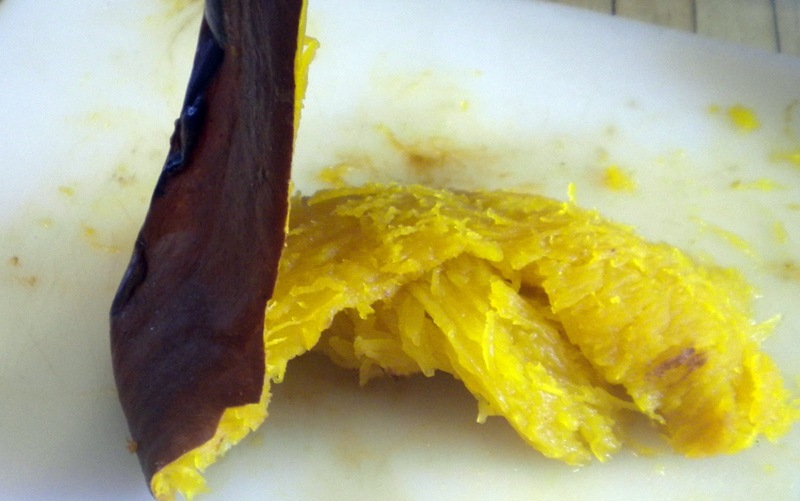 After they cool a bit, remove the skin. If your pumpkins come out looking like this, don't worry, it makes the skin super easy to pull off. 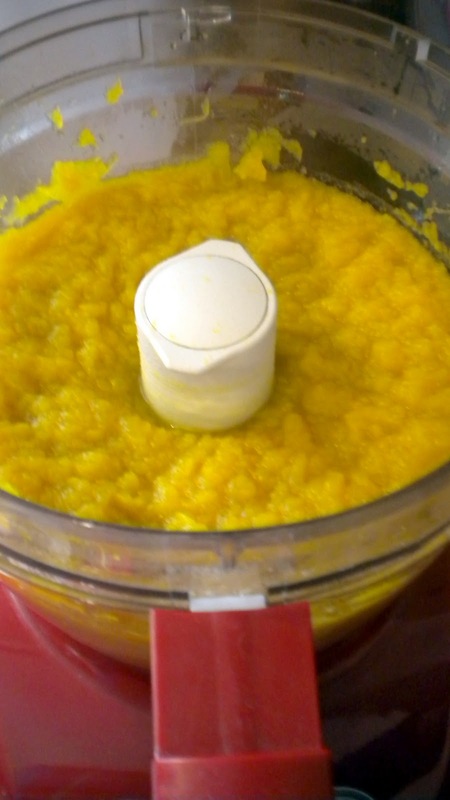 After peeling the skin off the pumpkin, run it through the food processor for a minute. If you're not going to use your pumpkin right away, you can freeze it. Do not try to can it and leave it on the shelf. 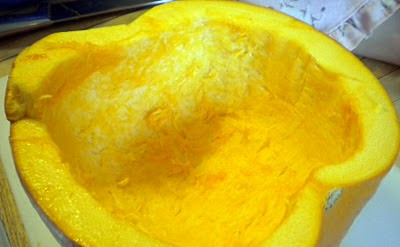 Pumpkin is a low in acidity and will spoil. It doesn't take a long time to cook and puree your own pumpkin and it tastes so much better than canned. 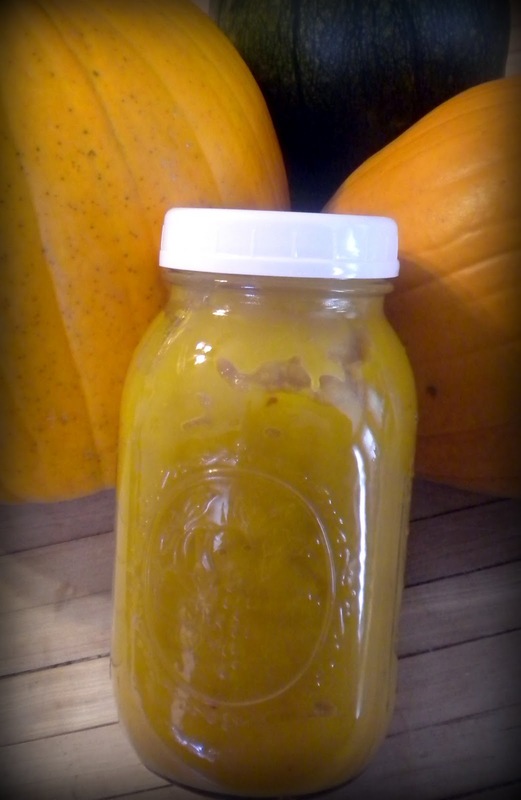 Over the next couple weeks, I'll be putting up recipes to give you ideas of what you can do with your pumpkin! What Happened to the Rest of Fall?